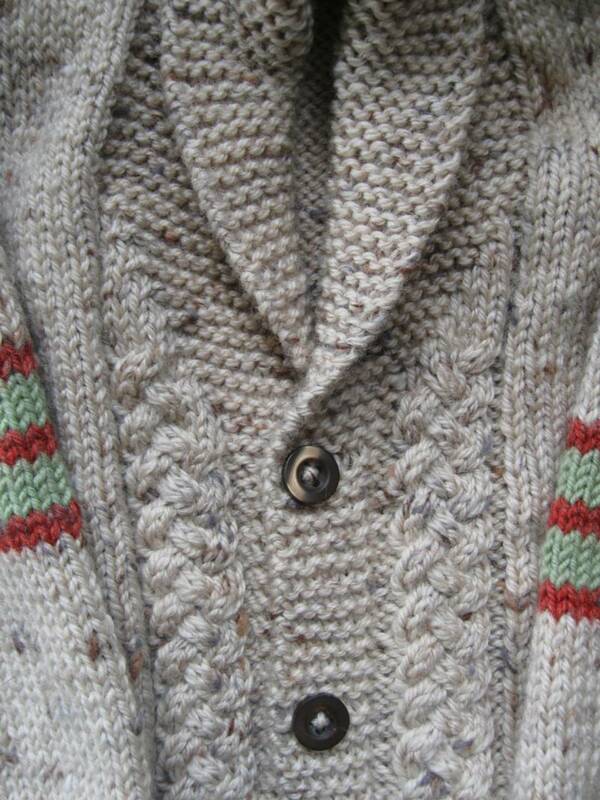 This cosy cardigan is very popular- I have sold several knitted with this pattern! 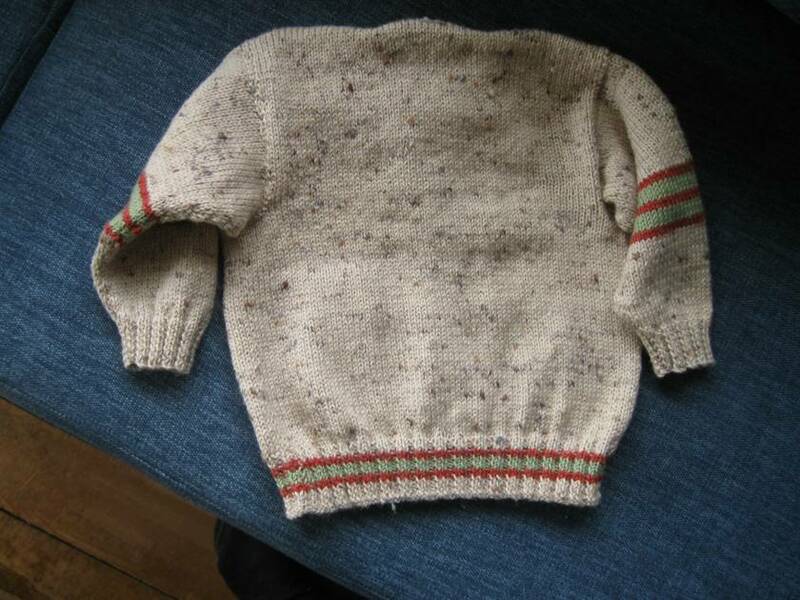 This one is knitted in a 85$ pure wool/10%acrylic/5% viscose double knitting yarn.. It can be machine washed on gentle cycle using a wool wash. 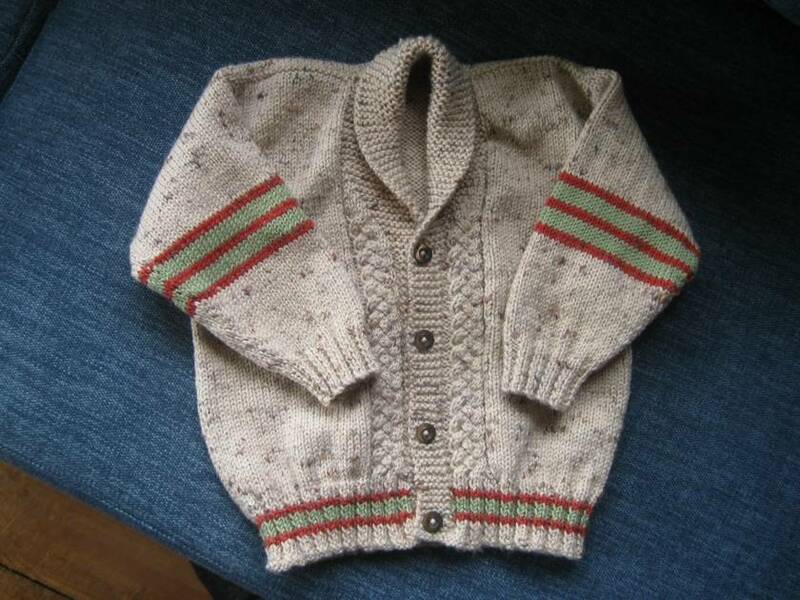 This cardigan measures 26" (66cm) chest, so will fit a 5-7 year old depending on their size. 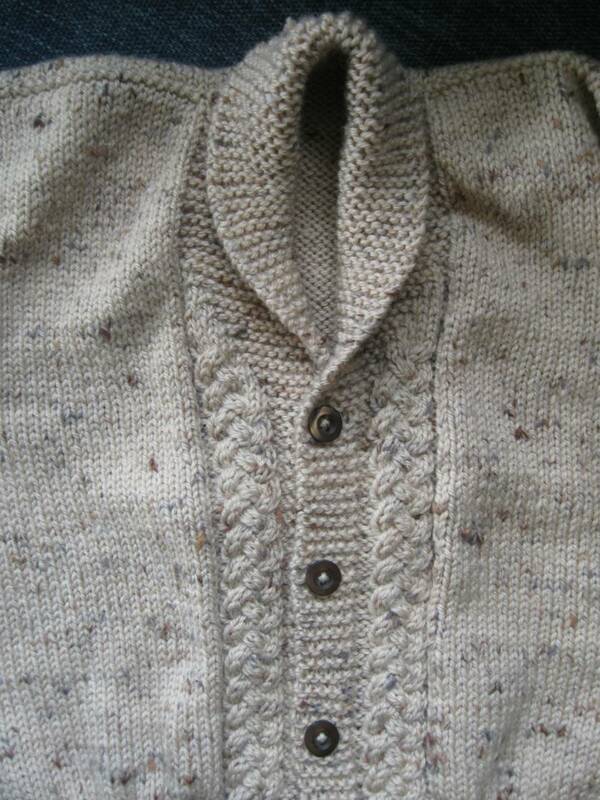 The shawl collar fits nicely and the buttons are a nice bronzy colour to bring out the fleck in the wool.